If your carpet stinks or has a bad odor, it probably needs a professional cleaning. 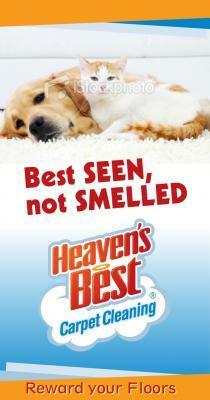 For the best carpet odor remover in Birmingham, AL call Heaven’s Best Carpet Cleaning. We have professional spot and stain removers and professional grade odor removers that will get rid of almost any nasty smell. We have mold stain and odor remover. We also have pet stain and odor remover, as well as hospital grade disinfectant and solutions that will kill micro-organisms that may be trapped in your carpets or upholstery. And when we clean your carpet, we do not charge extra for deodorizer. Don’t try to mask smells or odors any longer in your home. Heaven’s Best technicians can come out and do a carpet analysis to determine the best method of cleaning and deodorizing your floors. One typical odor problem we deal with often is pet odor problems, such as pet urine and just plain old bad dog smell. Bad dog smell can get in your carpet from your dog’s playing or just lying on the carpet. And, we all love our pets, but we don’t like when they hike their leg on the leg of a table or our couch. You don’t have to live with these smells, and you don’t have to get rid of your pet, Heaven’s Best uses the best products on the market to combat bad odors. Call Heaven’s Best today at (205) 618-9150 to come out and remove the worst carpet odors in Birmingham AL.